The six-member committee was appointed after Prime Minister Narendra Modi's government insisted on a new policy for reserves held by the RBI and the distribution of dividends. Bimal Jalan (pictured), former RBI governor. The committee set up to review the Reserve Bank of India's economic capital framework will shortly submit its report, governor Shaktikanta Das said Thursday. 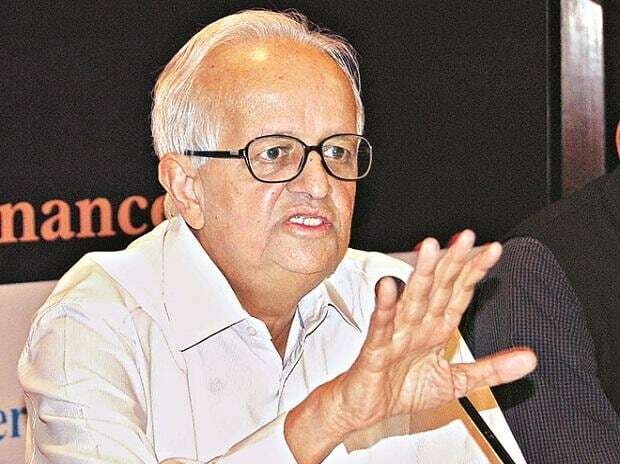 Former RBI governor Bimal Jalan was appointed to lead the six-member committee on December 26, 2018 after Prime Minister Narendra Modi’s government insisted on a new policy for reserves held by the RBI and the distribution of dividends. The other key members of the committee include vice-chairman Rakesh Mohan, a former RBI deputy governor, finance secretary Subhash Chandra Garg, RBI deputy governor NS Vishwanathan, and two RBI central board members: Bharat Doshi and Sudhir Mankad. "I had a discussion with Jalan and I think they require a few days more to finalise the report. The deliberations are in advanced stage," Das told reporters in Mumbai. The committee was to submit its report in 90 days from the first day of its meeting, which was held on January 8. The government and the RBI under the previous governor Urjit Patel were at loggerheads over the Rs 9.6-lakh crore surplus capital that the central bank holds over the government demand to part with a good portion of that for "more productive purposes" like pumping into the cash-starved state lenders or to meet the fiscal deficit target or even to fund the near-bankrupt state-run power distributors. Those who support that RBI hold a much lower capital reserve include the past chief economic advisor Arvind Subramanian who has pitched for transferring Rs 1.7-Rs 3 lakh crore of the Rs 9.6 lakh crore (as of September 2018) to the government coffers. The RBI board meeting on November 19, 2018 had decided to constitute the panel but it could not be announced as the two sides reportedly differed on the role of Mohan. Patel, who resigned as governor on December 10 following the widening differences with North Block, was said to have hotly contested the appointment of Mohan. In the past, the issue of the ideal size of the RBI reserves was examined by three committees--V Subrahmanyam in 1997, Usha Thorat in 2004 and YH Malegam as late as in 2013. While the Subrahmanyam panel recommended for building a 12 per cent contingency reserve, the Thorat panel suggested it be maintained at a higher 18 per cent of the total assets of the central bank. The RBI board did not accept the recommendation of the Thorat committee and decided to continue with the recommendation of the Subrahmanyam committee. The Malegam panel said the RBI should transfer an adequate amount its profit to the contingency reserves annually but did not ascribe any particular number.